UN Secretary General Koffi Annan’s plan constitutes the only realistic short-term prospect to achieve a settlement on the Cyprus question, US State Department Special Coordinator for Cyprus Thomas Weston said here Friday. 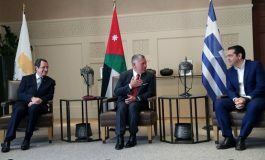 Weston who concluded a visit to the region, told a press conference that US will continue efforts “to advance the prospects of a settlement on Cyprus”, adding that his country continues to support the requirements set out by Annan’s report to the Security Council last April. Weston also noted that will be leaving the island tomorrow to a couple of stops in Europe, ending in Brussels before returning to US. Replying to a question whether during his trip to the region, he discussed a US plan for the solution of the Cyprus question, Weston replied negatively, adding that the US ”continue to believe that the one package which exists, which is the Annan plan, offers certainly the best, the only realistic short-term prospect to achieve a settlement on the island”. Asked if other parties involved to the Cyprus question have prepared any other plans on Cyprus, Weston noted that several sources expressed an interest ”in exploring if not other plans, at least elements of the Annan plan for different options”. 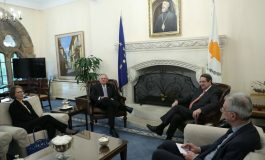 ”I think from the Greek Cypriot side there have been clear indications of an interest in addressing several aspects of the Annan plan with regard to so-called functionality in the EU”, the US envoy noted, adding ”I think there have been expressions from at least Turkey from quite a high level to explore other options or at least to put other ideas out there”. However, Weston clarified that he has not seen any such proposals, noting ”the only thing which exists on the table now is the Annan plan”. ”We do believe that is very important that a settlement be achieved in the near future, that is before May 1”, he added. Replying to question he said a meeting with Turkish Cypriot leader Rauf Denktash was requested but did not take place because it was not scheduled. ”I think is pretty clear that Denktash has made clear that he has some differences of view with me”, Weston said. 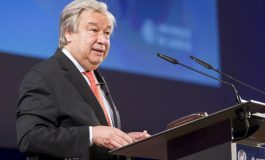 Replying to a comment that in his last report for the renewal of UNIFICYP’s term in Cyprus, Annan assigned equal responsibility to both sides for the impasse of the Cyprus question, Weston said that Annan has stressed his requirements in order to continue his good offices mission on Cyprus. ”What (Annan) he stated in his report in the Security Council last Friday is that those requirements have not been met. That, I think, is a statement of fact, it is not an assignment of blame or anything else is a statement of facts”, the US envoy added. Invited to comment Turkish Prime Minister Tayyip Erdogan’s visit to Turkish-occupied Cyprus, Weston said that read Erdogan’s statement very carefully, adding that he found ”some comments which I would regard very helpful towards a search for a settlement” as well as ”others, which I have more questions about”. ”What I do wonder and I think needs some attention”, he added, ”is how the fact of the visit itself is used by the respective parties in the north in the coming period, that is the pre-electoral period”. Weston also noted that Ergodan at least privately said that Turkey would stand with T/C no matter what the results of the so-called December elections, adding ”so i think the visit should be seen in that regard, rather that use as an instrument in the elections themselves”. Asked whether he is not that much optimistic about the prospects of resuming the peace talks because the possible result of the elections, Weston replied that it doesn’t matter if he is optimistic or not. 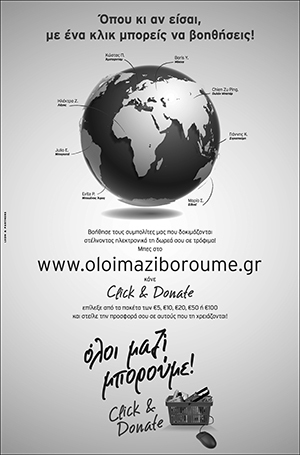 ”I believe that there is substantial chance of getting a settlement of the Cyprus issue in the time available and I think that rather that concentrating on optimism we should be doing everything possible to achieve that goal”. He added that no matter what happens in the so-called elections” I believe there is a chance to get a settlement and we have to do everything possible”. In his opening statement, Weston expressed his country’s ”great sorrow” and condolences for the bomb attacks in Constantinople. ”The US will stand and continue to stand completely and very strongly with Turkey as it addresses the terrible crimes”.